He reminds me of Mikihisa. This picture is so cool! I can't read or write japanese either. Great pic!HA! to all you people who hate cliffhangers! 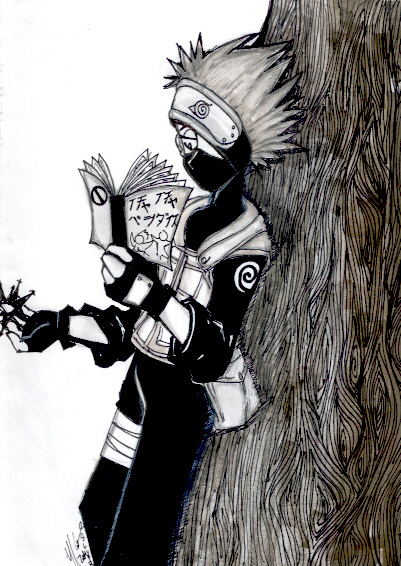 Just subscribe to Shonen Jump and you can read Naruto and other mangas that are ahead of the books!XP! !Or you can just buy the Shonen Jump fron your local grocerie store!5 bucks!and 3 or more chapters of Naruto every month!